Tomorrow, at 4 a.m. Pacific Daylight Time, Windows 8.1 will begin to roll out as an optional update to Windows 8 users. The new software represents a reset and rebirth of the bets that Microsoft made with its Windows 8 operating system. Windows 8.1 contains a grip of new features, including new built-in applications, fresh user-interface changes, and a more powerful search technology that elevates Bing as a component of the Microsoft services suite. SkyDrive also has a prominent place in Windows 8.1, as Microsoft works to ensure that it continues to manage its users’ files wherever they are stored. Trust me, you want to upgrade. Windows 8.1 is to Windows 8 as Office 2010 is to Office 2007. However, as this is a staged rollout, not everyone will see the code at 4 am Pacific tomorrow. 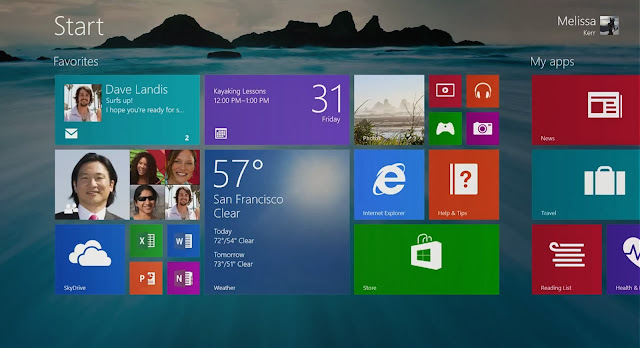 The new operating system will pop up as an update in the Windows Store at various times, depending on your location. All you have to do is have a fine sleep, and when you wake up, the operating system will either be ready for you to snag, or on the way. Windows 8.1 is even more services-dependent than Windows 8, which opens up more potential fail points – if SkyDrive, Bing, Skype or other services falter tomorrow, it will mar the release of the operating system itself. That said, Microsoft services have been more or less stable of late. What will be interesting is whether most Windows 8 users switch to Windows 8.1, and at what pace. We’ll be able to track Windows 8.1′s market share independently, but I suspect that Microsoft will share a few statistics as they become relevant and aggrandizing. So tonight marks the calm before Storm 8.1. Will consumers react positively? Will the new code spur sales? Will it sit well with the new hardware that is on the way? In about 16 hours, we’ll start answering those questions.